If Firefly's Kaylee had her way and the show didn't end prematurely, it would have ended up like this. Joss Whedon's Firefly will always and forever be an example of what happens to good television when it's handled poorly. Episodes were aired irregularly and out of order, and the show was canceled after one season even though it's one of the best sci-fi shows ever. 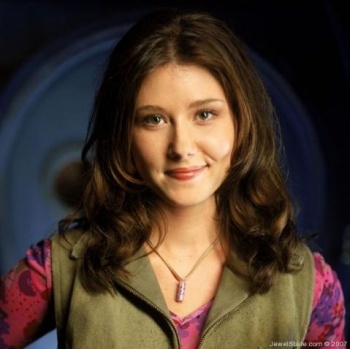 Jewel Staite, who played Kaylee, has her own ideas of where she would have taken Firefly if it had continued into multiple seasons. In my perfect imagination, [Firefly] ends a little something like this: Nine glorious seasons later, Kaylee and Simon have had several beautiful brunette babies, a couple of which have turned out to be crazy geniuses like their Auntie River (Firefly: the Next Generation? ), and one who mysteriously looks a lot like Matthew Fox, who became a regular cast member in season six. River has finally found her marbles and is now captaining her own ship with her loyal second-in-command, Jayne, who claims that River is the best captain he's ever known. Saffron is now their mercenary, and Jayne's lover. And because this is the future and vast discoveries have been made in the world of medicine, Jayne is pregnant with their first child. Inara and Mal finally profess their undying love for each other while Inara is, well, dying in his arms (something gruesome, lotsa blood), and Mal finally realizes that life is short. And promptly confesses his (other) undying love to Zoe. And she promptly punches him in the face. I don't care about any alternate endings that fan-fiction has come up with, a pregnant Jayne is possibly the best idea I've ever heard of for the show. And no incredibly lovable key characters seem to die in Staite's version of the Firefly future either, not that that happens in the actual series or anything. The mention of a Next Generation-style Firefly show is interesting, and anything's possible, so maybe Whedon will offer such a thing to Firefly fans in the future. Something new has to come out of the show's cult-hit status someday, right?